Orvis waders may not be available by Next Day delivery! 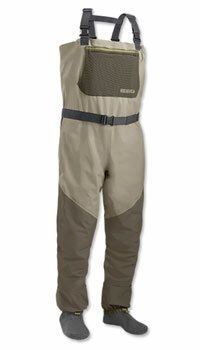 Orvis's kids' fishing waders are designed specifically as a child's first wader. Orvis's hardy value wader series, now designed specifically for the young anglers in your family. Built from a 4-layer nylon fabric that offers an optimum balance between durability and breathability. Sizes: Small(8), Medium(10-12), Large (14-16).